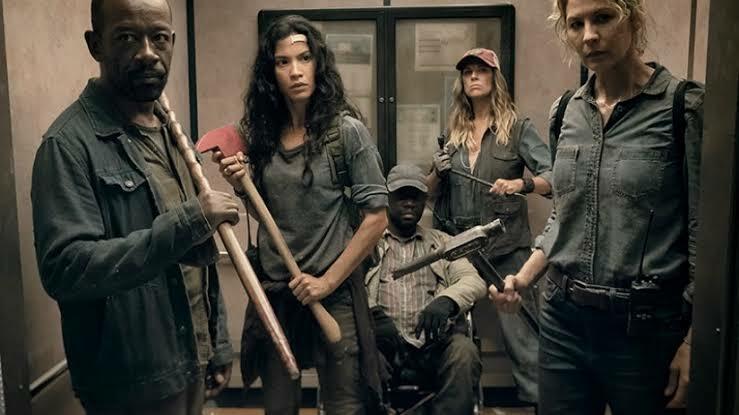 The fourth season of Fear the Walking Dead aired back in April 2018 and the soon renewed for a fifth season. The prequel series to The Walking Dead has made a good name for itself. The release date for the new season hasn’t been revealed yet but, we can make an educated guess. It is expected that the fifth season of Fear the Walking Dead will air in April 2019. We are basing it off the premiere of the fourth season. The fifth season of the show will most likely have 16 episodes, and it might as well be split into two parts. There could be a mid-season break just like the previous season. Lennie James, Colman Domingo, Danay Garcia, and Alycia Debnam-Carey will be keeping their roles for season five. Jenna Elfman, Garret Dillahunt, and Maggie Grace are also a part of the cast for the fifth season. The show has a rating of 7 on IMDB and a rating of 77% on Rotten Tomatoes. The show is great, and if you like zombies, then you should definitely watch the show. We can expect the show to have another crossover with the original series in the fifth season. It would be really interesting to see how they handle the crossover in the future. If done properly, the show will definitely see an increase in the ratings and the audience. It will be interesting to see how the fifth season turns out to be. If the show isn’t able to attract a decent audience, then I can see the show being canceled. It might seem a bit harsh but, this is how the industry works. AMC recently revealed a new trailer for the Fear The Walking Dead Season 5. The fans wanted a sneak peek at the upcoming season to hype up the wait for the season 5, but AMC went ahead and released an insanely long trailer. The trailer is 4 minutes long, and we see all the places, characters fighting zombies, talking with each other, getting guns pointed at them, and so on. This was too much, it might even kill the hype of the upcoming season, but hey, that’s just me.